Kitty is now back home from her stint in the hospital. Talk about a rude awakening. 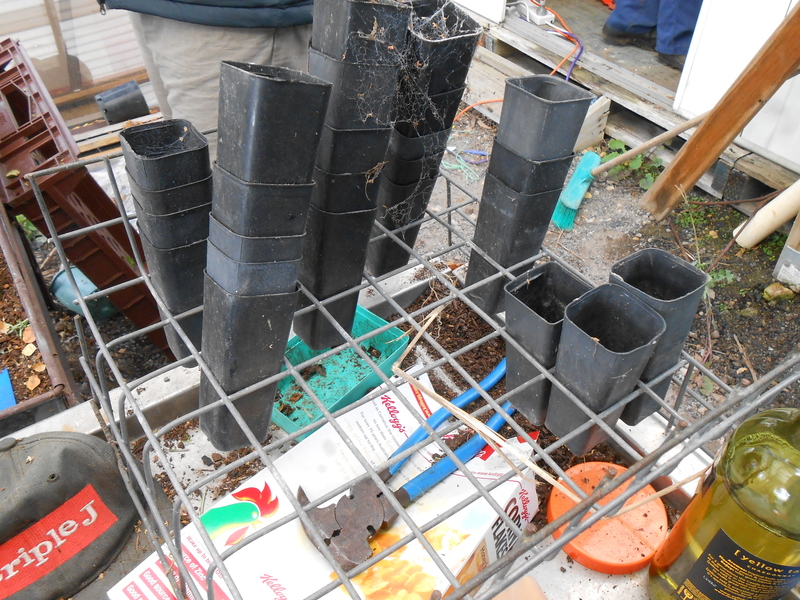 Anyway, as promised, I now present my thoughts on the Propagating plants lesson I attended. I really owe a great big thank you to Mike the Gardener, who showed me all this interesting work he has accomplished at his house. I have picked up a lot of interesting information on the process of propagating plants from cuttings. Take cuttings that are around 20 cm in length. These are then broken down into smaller sections to be used. 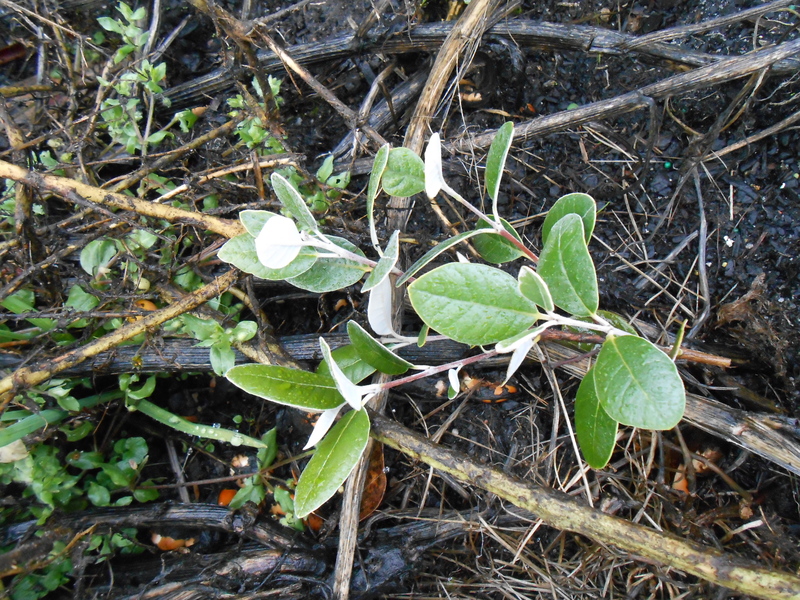 The cutting should have a central stem, from which multiple small branches are growing. This cutting contains three or four stems from which a new plant could be propagated. The sections which you wish to propagate need to be torn or ripped off the stem. This is done at the central stem of the parent plant. The reason that you tear them off is to increase the amount of surface with which you have to work. It also wounds the stem and presents more cells to be ready to be used. You also need to do this to ensure that the tear is fresh. Apparently if you wait more than a couple of minutes to pot the cutting, air becomes locked in the cut section of the stem, which will prevent adequate growth of roots. Mick recommends dropping them into a bucket of water (so that the end of the stems are submerged) if you can not immediately begin propagating the cuttings, as this will extend their life. The do your cutting from below the water line, a little from the end. Once you have removed the small section from the stem, remove the bottom few leaves, so that you have around 2-3 cm of clear stalk. This is then dipped in a hormone agent (Mick used a liquid solution, yet he advised that a powder hormone, or even plain, pure, honey would work), then the stalk is pushed straight into the soil in the pot you wish to use. Mick made the soil from simple, cheap, potting mix bought from the hardware store. 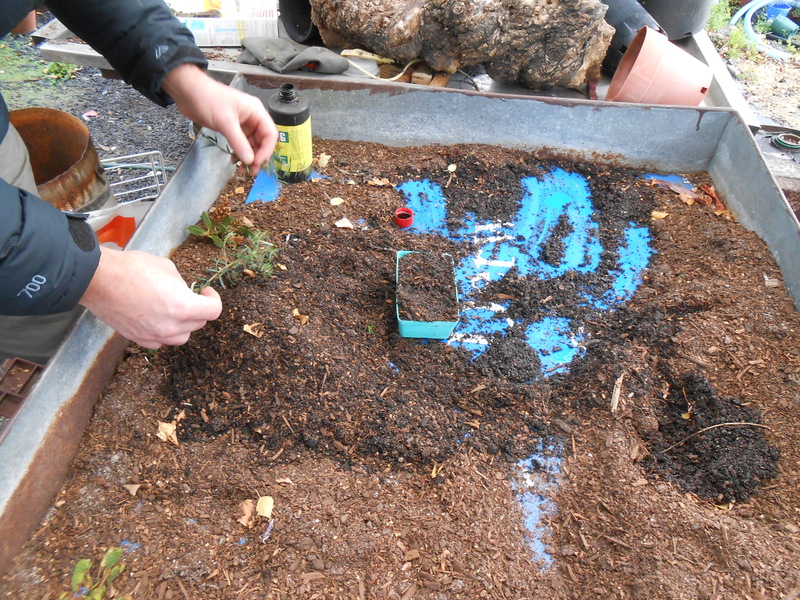 He added a special pellet mix to provide the plants with a boost. He recommended adding nothing else at this stage as the cutting would gather all the nutrients it required from the leaves, until it develops roots. The trick is then to move it from pot to pot, giving it time to grow without allowing the roots to become pot bound. You don’t want to put them into too large of a pot as the roots can become lost. A smaller pot allows the roots to be forced into growing downwards before they are transferred into a larger pot. He recommends using a thin, deep pot, which will allow the roots to be forced into the right direction. One interesting trick I saw him do was to use two sections of coat hanger, bent and forced into the soil over a pot to create a frame, over which he placed a used plastic bag. He then watered the plant via a saucer he put under the pot, and the water is drawn up into the plant from there. Another interesting thing I picked up was for after potting the established cuttings into a new container. Mick would place the whole pot into a tub of water, and allow it to stand for a few hours. This allowed the roots to draw up all the nutrients and water it needed, giving it a big advantage. 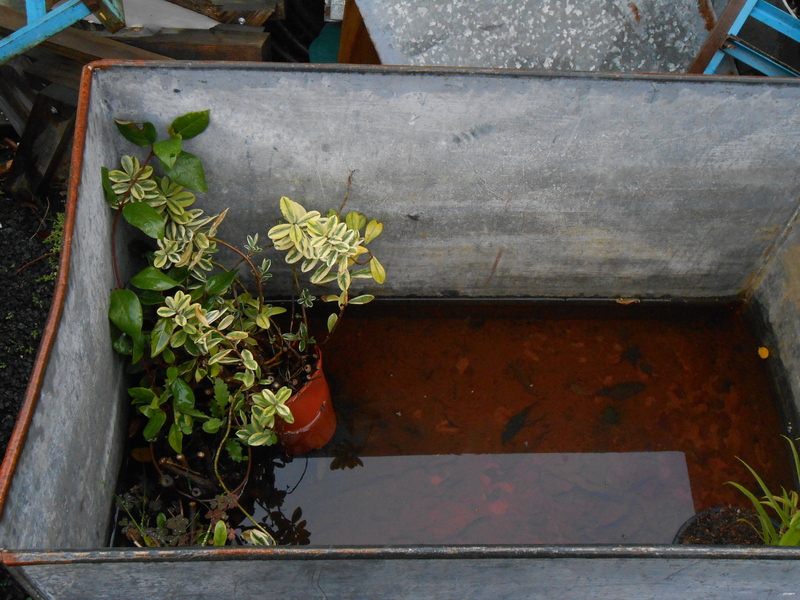 Mick pointed out that it doesn’t need to be a special container, anything that will hold water will do, such as a wheelbarrow or tub. The plants in there have apparently been forgotten, left there for weeks, yet they have thrived.